Carla uses sound, narrative, and interview to try to make sense of the world around her. In 2012, she produced a 6-part experimental radio series called “Simmer” for MAIN-FM in Asheville, NC, combining global perspectives with local voices and issues. To hear more of her radio work, visit Carla’s producer page at PRX.org. Aired on The Splendid Table May 21, 2015, this piece mixes a traditional milling song from Cameroon with interview with the stone millers at Carolina Ground in Asheville, NC. Investigation of dessert in cross-cultural context produced soon after Carla’s return to the States from Togo, West Africa. French language interview segments are with Catherine Talim, Carla’s Girls’ Education and Empowerment teaching counterpart in Kante, Togo. Aired on American Public Media’s “The Splendid Table” on November 1st, 2008, this piece documents Carla going guesting in an Azerbaijani home and receiving an unexpected gift. Click here to read a blog posting from the University of Chicago Center for East European and Russian/Eurasian Studies about this piece. 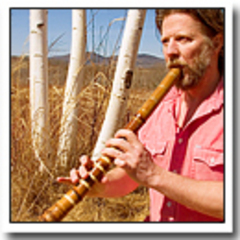 A six-minute documentary on the shakuhachi flute produced while a student at the Salt Institute for Documentary Studies and aired on Weekend America in September 2006. Care of the Salt Archives. Collage of sounds recorded during Carla’s Peace Corps service in Azerbaijan, 2006-2008.